J'adore is imported from Germany. 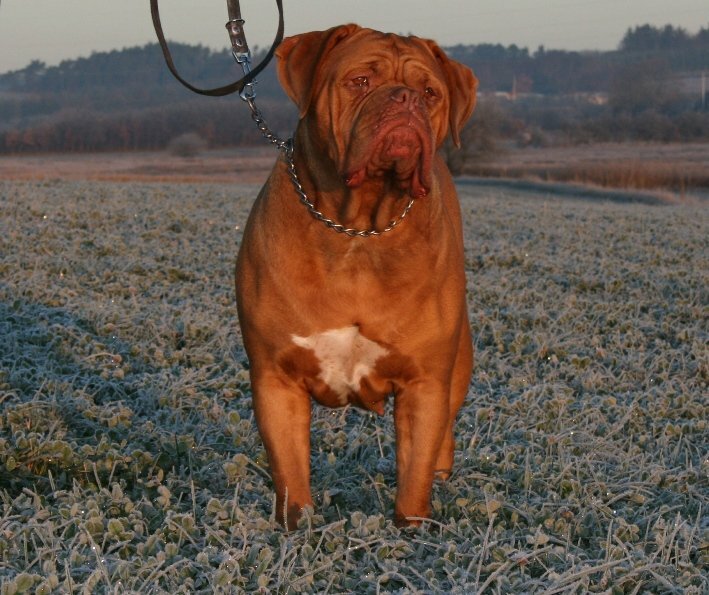 We had been looking for a long time to get this kind of strong typey female for our breeding programme and so far we must say that we couldn't be happier with her. She has some of our favorite bloodlines including Kobus de Legeane, Sodium and the Nordniedersachen lines. She's got a great head type, a nice body and a wonderful temper. She has had two litters and is now retired. We sadly lost J'adore very suddenly to lymphoma. She will be forever missed. Thanks to Alexandra Merle for this fabulous girl!